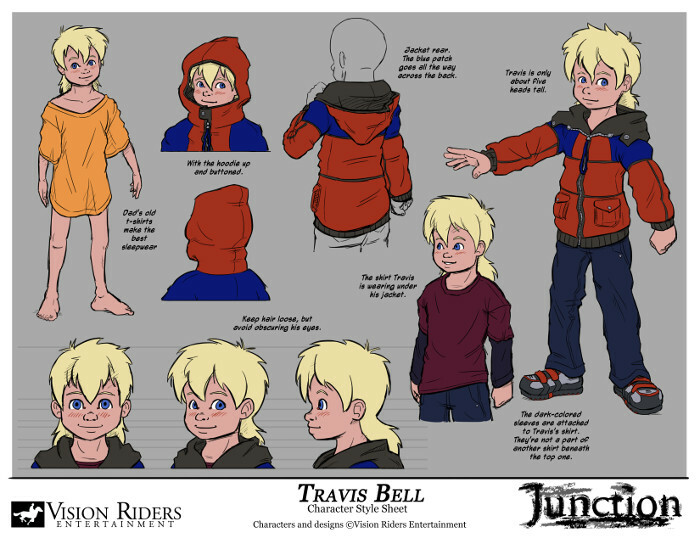 Style sheet for the character "Travis". From "Junction", an adventure game that I was working on. Drawn and arranged in Photoshop.